Clarke's Weaver was formally described by Colonel Stephenson Robert Clarke, an English soldier and ornithologist. Clarke's Weaver was first collected by a native collector employed by Stephenson Robert Clarke and his younger brother Goland van Holt Clarke, an English soldier and naturalist. Stephenson Robert Clarke wrote several notes on birds, including the description of this weaver, which he named after his brother (the latter did not write any papers on birds). The Clarke brothers collected birds in various parts of Africa and the rest of the world. The Clarke brothers went on a shooting expedition to the Lorian Swamps in central east Kenya in 1912, where they collected many birds. They returned to Mombasa and from there sent a local collector to work along the coast as far as Lamu. The collector obtained several rare species, as well as a male Clarke's Weaver. 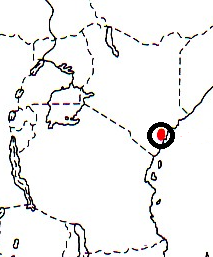 The weaver type locality was listed as Mombasa, where the brothers were based at the time, but would have been collected in the Arabuko-Sokoke Forest. 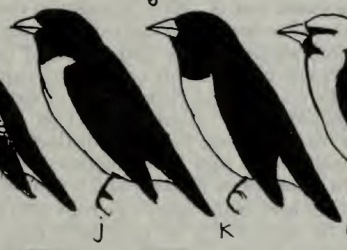 After the type specimen was collected in 1912, no more specimens were collected for 4 decades, so that Grant & Mackworth-Praed (1953) considered the type to be an aberrant, melanistic Lesser Masked Weaver. A second specimen was obtained in 1955 in the Sokoke Forest, however, by John Williams, after observing a flock and confirming it to be a valid species (Williams 1957b). In the late 1950s more specimens were obtained, including females. 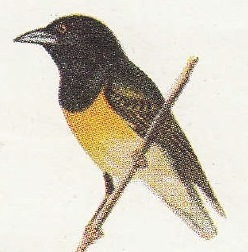 The Clarke's Weaver was first illustrated by Mackworth 1955a, showing the type male. The next illustration to be published was a line drawing by Harrison 1965c. Heterhyphantes golandi	Clarke 1913a,	Bull. Brit. Orn. Cl. 31: p.32,	Mombasa, eastern Kenya Colony. golandi, Named after Captain Goland Clarke, one of the 2 brothers who first collected the species. Coast Black-flanked Weaver (Someren 1922a). Coast Black-flanked Weaver, Goland's Weaver. A native for Col. Stephenson Clarke and Goland Clarke. Along the coast between Mombasa and Lamu, Kenya. The type is in the British Museum of Natural History (BM 1913.1.17.1).